Croplands Quantum Mist Sprayer offers great coverage and flexibility. They can be used in almost every crop for excellent coverage. The Quantum Mist Sardi fan is the most efficient and effective way to spray your crops. Vine Tech manufactures both 2-row and middle of the row weed booms. Vine Tech's weed boom is capable to apply two different spray applications with one pass. An optional photo eye is mounted to only spray when trucks pass in front of photo eye. Resulting in cost savings. It has hydraulic width adjustment and optional hydraulic height adjustment. 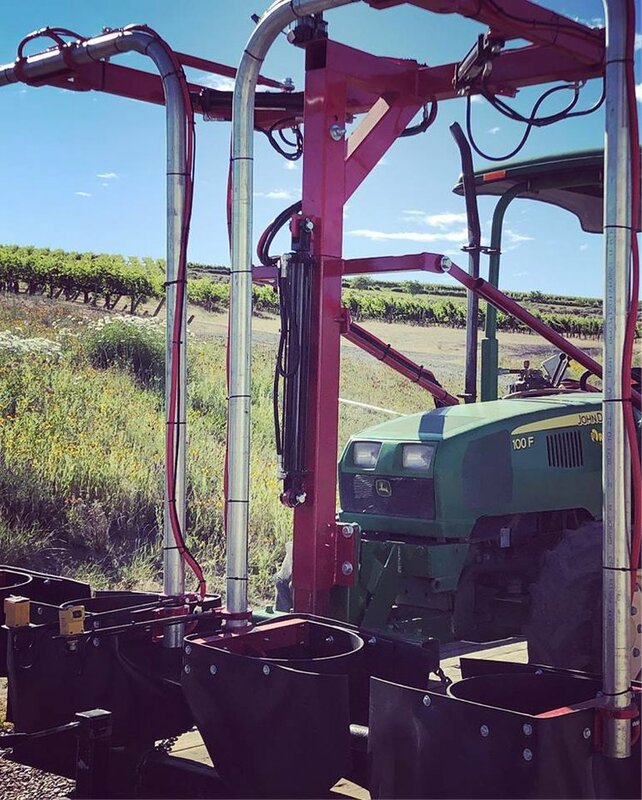 Wind covers are on a spring loaded break-away system to greatly reduce any damage to sprayer and vineyard. 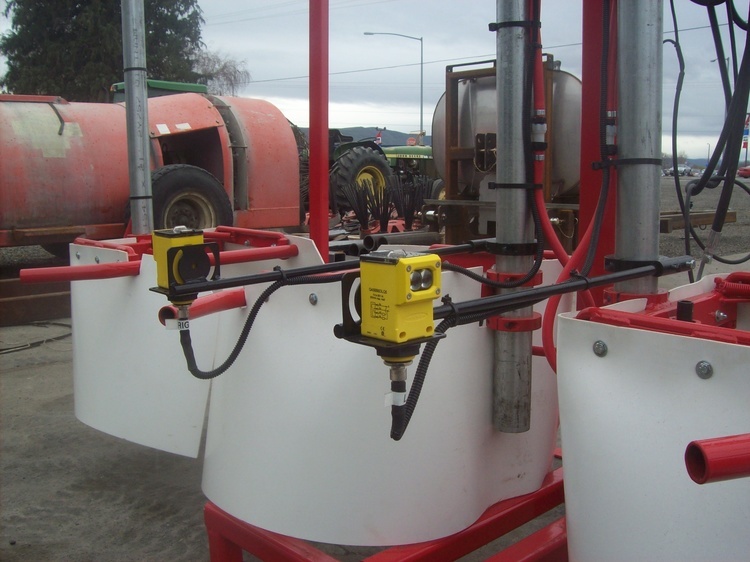 The Eole sprayer is extremely maneuverable owing to its automated systems for opening and the catcher plates, the unfolding and folding of bridges with resetting to the working width. Furthermore, the visibility of the level of the tanks and setting to the plantation width are obtained directly from the driving position. The variable flow steerable diffusers control processing as a function of the plantation width without changing the flow/hectare. For processing, the turbine provides optimum micronization. The automatic ground tracking and side by side perpendicular to the vegetation (owing to a rear receding angle) provide localization of processing: your optimum micronization. The automatic ground tracking and side by side perpendicular to the vegetation (owing to a rear receding angle) provide localization of processing: your drift can be significantly reduced for maximum efficiency for maximum efficiency.